HABIT DE PEINTRE by Jean Lepautre, Jean Berain, Jacques Lepautre, French, of handcolored engraving on paper, circa 1682. Courtesy of the Los Angeles County Museum of Art. Clothing Art: The Visual Culture of Fashion, 1600-1914 is the latest—and possibly last—book from fashion historian Aileen Ribeiro, author of seminal studies such as Dress in Eighteenth-Century Europe; Dress and Morality; Fashion in the French Revolution; Ingres in Fashion; The Art of Dress; Fashion and Fiction: Dress in Art and Literature in Stuart England; and Facing Beauty: Painted Women and Cosmetic Art. Published by Yale University Press, ambitious in size and scope, clocking in at five hundred seventy-two pages, Clothing Art unleashes the full range of Ribeiro’s powers as an interpreter of art and dress, offering new insights into her areas of established expertise as well as deep dives into new scholarly territory, such as the Dutch Golden Age, the Venetian Carnival and fin-de-siècle Japonism. The book’s broad temporal and geographical reach allows Ribeiro to make illuminating connections that would be impossible in a more focused study, as she draws parallels between the Black Prince and the Romantic dandy, between Jacques-Louis David and Arthur Lasenby Liberty. It also makes room for hundreds of sumptuous images, including many that will be new to even seasoned students of fashion history. Ribeiro pays close attention to items of clothing stashed in the backgrounds and margins of these artworks, which are often overlooked or considered to be mere props. She gets inside the minds of artists, examining how they coped with the physical distortions caused by corsets and crinolines. William Hogarth, the eighteenth-century artist who figures prominently in the book, wrote in his book Analysis of Beauty that dress “is so copious a Topick, it would afford sufficient matter for a Large Volume of itself.” Clothing Art proves his point. MARCHESA BRIGIDA SPINOLA DORIA by Peter Paul Rubens, Flemish, of oil on canvas, 1606. Samuel H. Kress Collection. Courtesy of the National Gallery of Art. Bridging the still-wide gap between art historians and fashion historians, Ribeiro admonishes fashion historians to “never lose sight of the fact that works of art are works of art first and not just repositories of fashion references,” encouraging an art historical approach rather than indiscriminate cherry-picking of images. “As for art historians,” she adds, “who are sometimes too prone to think that, since we all wear clothes, they can easily understand them in art and interpret them accordingly, it has to be said that clothes in the past are nothing like the ones of today and cannot relate to them in any meaningful way.” But she cautions both groups that “every visual and textual description in the end relates to real clothes”—many examples of which are illustrated and analyzed in the text. Ribeiro retired from her post as Professor of History of Dress at London’s Courtauld Institute of Art in 2009, but continues to be in demand as an author, speaker and consultant. She recently worked on an exhibition of portraits from the late 1880s to 1945 that coincided with London Fashion Week in September. She spoke with Ornament about her new book, the culmination of her long career of scholarship. THE EMPRESS EUGÉNIE by Franz Xaver Winterhalter, German, of oil on canvas, 1854. Mr. and Mrs. Claus von Bülow Gift. Courtesy of the Metropolitan Museum of Art. How has the field of dress history changed since you published your first book, Visual History of Costume: Eighteenth Century, in 1983? There are two answers to this. The first is that the academic standards of much (not all) writing on clothing have tightened up, partly due to the impact of theory which, when used with perception and knowledge of the history of dress, makes for a more nuanced discussion on the subject. The downside of this is when writers on dress, particularly those working on twentieth and twenty-first century fashion, use theory without understanding, resulting in misleading and garbled work. The second is that periods before the twentieth century are no longer studied to the extent they should be, which limits the possibilities of historic clothing as an essential element of discourse in the humanities. How has its relationship with art history changed? Have art historians fully embraced the importance of fashion history, and have fashion historians risen to the challenge of becoming art historians? The abandonment of the earlier periods in the study of the history of dress has led to art historians entering the field, realizing the importance of dress and textiles to their work. I’m pleased that this is so, especially when they have knowledge of the subjects they write on—or feel free to ask relevant specialists for help—but sometimes this isn’t the case and errors, along with unscholarly work, are the result. On the other hand, when it comes to dress historians, they often seem frightened of art historical sources, unsure of how to make use of them in their work. Only when the history of dress is taught more widely—and more professionally—in art history departments at the university level might the situation be improved to the benefit of both sides. HOMME DE QUALITE EN HABIT D’ÊPÉE by Nicolas Arnoult, French, of handcolored engraving on paper, 1683-1688. Courtesy of the Los Angeles County Museum of Art. Can you describe your research process? The research process begins with an idea, a concept, which requires quite a lot of work before a synopsis can be written. This doesn’t always mean I strictly follow the synopsis; thoughts and ideas change as part of the research process. But it provides a kind of template. Then comes a great deal of research into texts and images, the latter especially so with regard to Clothing Art. I like to collect all the information before writing as I need to see the book as a whole, as a unit. Did you know this book was going to be five-hundred-plus pages when you began writing it? No, I didn’t. But about halfway through writing the book, I realized that I’d been over-ambitious in the scale of my project and thus needed many more words, and lots more images. My wonderful editor Gillian Malpass [to whom the book is dedicated] agreed to an extended volume but was slightly taken aback at the length when I handed it in! As ever, she took it in her stride and produced a beautiful book, for which I’m most grateful. In the book you discuss the “emotional aspects of clothes.” How does one research that elusive subject? With difficulty! It’s still a somewhat nebulous notion in my mind, partly to do with the emotional charge of a great painting; Alfred Stevens referred to painting as “nature seen through the prism of an emotion.” To the historian of dress, things are important as ideas are, and surely emotions can reside in clothes and accessories. Lionel Trilling put it well when he talked of the “strong emotion about the life in objects, the shapes that people make and admire.” I’ve been thinking about the Five Senses recently—the subject for my keynote paper at the most recent Costume Society conference—and posit a sixth sense when looking at art, which might encompass ideas of love, understanding, memory, and so on. 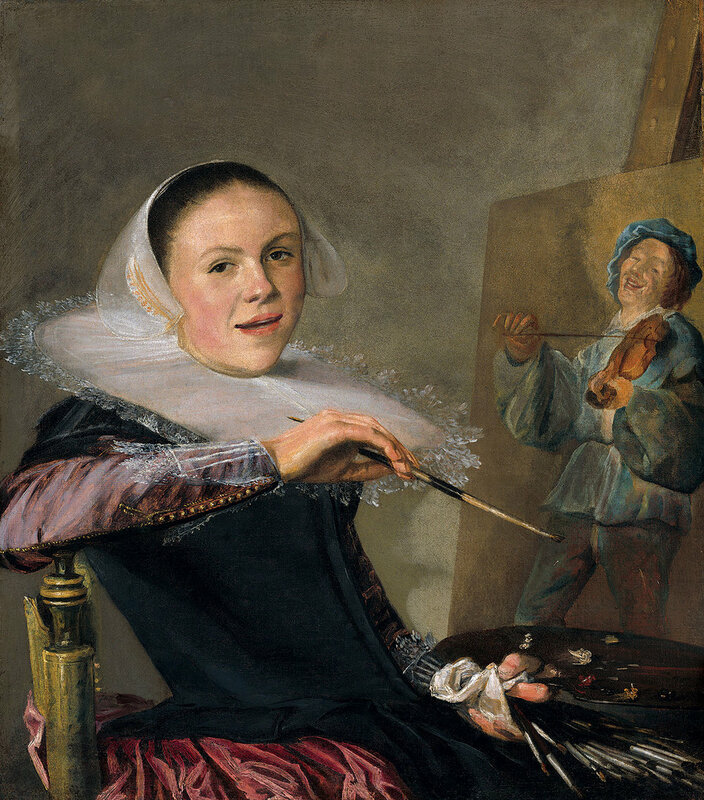 SELF-PORTRAIT by Judith Leyster, Dutch, of oil on canvas, circa 1630. Gift of Mr. and Mrs. Robert Woods Bliss. Courtesy of the National Gallery of Art. You studied under the late Stella Mary Newton, the pioneering dress historian who founded the graduate program in History of Dress at the Courtauld Institute, and eventually replaced her when she retired. How did she shape your approach to the subject? What seems so obvious now—that artists depict the clothes they see around them and that paintings can be dated by the clothing depicted in them—was Stella’s great and innovative contribution to the history of dress. This wasn’t surprising, as she had been married to an artist and art critic and spent many years at the National Gallery in London analyzing dress in art, identifying the clothing and textiles, and suggesting dates to undated works of art. To me, having studied history as my undergraduate degree with a focus on political events, it was a revelation to look at painting, to be totally immersed in it and how clothing made up such an important aspect of it. This approach inspired me to examine dress in art, what relations there were between truth and imagination, what meanings clothes might have, and so on. MADEMOISELLE SICOT by Pierre-Auguste Renoir, French, of oil on canvas, 1865. Chester Dale Collection. Courtesy of the National Gallery of Art. What was it like stepping into her shoes at the Courtauld? As one might expect, it was somewhat intimidating. Although I was determined to follow her approach linking art and dress, I wanted to follow my own way, and to create my own style of writing. For this reason, I never asked myself: “What would Stella do?” Although I thought it was important for students to know about the history of dress from classical antiquity onwards, I was never enthused by medieval or Renaissance clothing, which was Stella’s forte, and I positively refused to teach the study of regional or folk costume. In this wide-ranging study, were you consciously trying not to repeat yourself? There are significant investigations into periods and subjects not covered in your previous books. Are these new areas of interest or long-term projects that haven’t appeared in print before? I didn’t want to write a survey of the history of dress—too old-fashioned an idea. So the answer was a general introduction, a chapter on portraiture and then a series of case studies in periods with which I was familiar—the seventeenth, eighteenth and early nineteenth centuries—and to write considerably larger chapters on the late nineteenth and early twentieth centuries. For the last fifteen or so years, I have been involved in a number of exhibitions of nineteenth-century art—most recently Renoir at the Phillips Collection in Washington—and this has become a source of great interest and pleasure. Do you have a favorite period or artist? Tastes change. A few years ago, if you’d asked me this question, I would have said the eighteenth century, and possibly Jean-Etienne Liotard, not just his sumptuous portraits but the wonderful Levant paintings. And I still love Goya very much. But my favorite period now is the second half of the nineteenth century; it contains many of my favorite artists such as Manet, Whistler, Vuillard, and Lavery. In terms of a favorite period in fashion, I think I would go for the 1870s, which seems to me elegant and graceful, not too extreme like the crinolined 1860s or the harsh lines of the 1880s, with the square bustle. PENELOPE by Charles-François Marchal, French, of oil on canvas, circa 1868. Gift of Mrs. Adolf Obrig. Courtesy of the Metropolitan Museum of Art. You caution that “it is through familiarity with surviving historical garments that we begin to understand what the artist aims to do in depicting clothes in his or her work.” Obviously, this becomes difficult with the sixteenth and seventeenth centuries, from which relatively few garments survive. Even from later periods, surviving garments may be inaccessible to researchers for a variety of reasons. Do you have any advice for scholars on how to get around those obstacles? Of course, the historian of dress needs to examine extant clothing where this is possible or desirable, but in periods before the late sixteenth century there are few surviving garments. Even in later periods, clothing in museums is often limited to garments worn by the elite, high fashion, ceremonial robes, and so on. The only advice I can give (and it may sound rather odd) is for the scholar to learn about the physicality of clothing by learning how to sew—not necessarily dressmaking skills, but an ability to note how clothing is constructed and to see how clothes work on the body. While extant clothes are limited in number, far more early textiles survive in museum collections, and a study of these, allied to contemporary documents such as inventories, and close examination of works of art, should help the scholar in getting to grips with early dress itself as well as working out “what the artist aims to do in depicting clothes” and how. You point out that art historians often misapply labels like “showy” and “brazen” to dress in Victorian art, because it’s showy in comparison to what we wear today, while subtle class clues—like a top hat instead of a bowler—may be lost on modern viewers. How do we, as students and viewers of historic clothing in art, avoid projecting our own prejudices? As creatures of our time, we cannot totally avoid projecting our prejudices; after all, critics and artists in the past did this, too. What we can do in mitigation is to familiarize ourselves with the social behavior—manners, etiquette, class, status, cultural assumptions—of the periods in which the artists we are working on lived. A knowledge of history is crucial in providing the background to any work of art. ARRANGEMENT IN FLESH COLOUR AND BLACK: PORTRAIT OF THEODORE DURET by James McNeill Whistler, of oil on canvas, 1883. Catharine Lorillard Wolfe Collection. Courtesy of the Metropolitan Museum of Art. Why begin the book in 1600 and end in 1914? Clothing Art does include references to images of dress before 1600 and after 1914, but I decided to concentrate on the Early Modern period, a vast span of years in itself! From the seventeenth century, artists seemed to be engaged in a greater variety of ways to depict clothes, including a growing sense of how dress could depict the past. From the late eighteenth century, I sense artists thinking at a deeper level than before about the ideas behind clothing, a process intensified throughout the nineteenth century. Why 1914? This isn’t easy to answer; a case could have been made for continuing up to the outbreak of the Second World War, and possibly to the mid-twentieth century. I think I felt 1914 was a symbolic date, the beginning of the “war to end all wars,” after which a very different society emerged, and radically new forms of art were on the horizon. I certainly stand by my statement here. I’m not yet convinced that fashion—being so intimately linked to the body—can be art. But of course jewelry is art, or can be, and there may be a case for thinking that a suit of Renaissance armor—which, after all, is metal clothing—is art. It did cost more than, say, a portrait by Titian of the man who wore the armor. Do you consider yourself an art historian or a dress historian, or both? Both. The work I do, whether writing or lecturing, relies on being both. When I began my career, I thought of myself as a dress historian, but gradually I came to wear two caps, one as a dress historian, the other as an art historian. I suppose I’ve become more attracted to art than extant clothing, although I can appreciate the skill of a dress by Worth or Poiret, and there’s a frisson when I see garments with a historical resonance such as Lord Byron’s famous Albanian costume, which I discuss in Clothing Art, and was lucky enough to examine. LA PROMENADE by Pierre-Auguste Renoir, French, of oil on canvas, 1870. Courtesy of the J. Paul Getty Museum. Ribeiro, Aileen. Clothing Art: The Visual Culture of Fashion, 1600-1914. New Haven and London: Yale University Press, 2017. —. Facing Beauty: Painted Women and Cosmetic Art. New Haven and London: Yale University Press, 2011. —. Fashion and Fiction: Dress in Art and Literature in Stuart England. New Haven and London: Yale University Press, 2005. —. Dress and Morality. London and New York: Berg, 2003. —. Ingres in Fashion: Representations of Dress and Appearance in Ingres’s Images of Women. New Haven and London: Yale University Press, 1999. —. The Art of Dress: Fashion in England and France, 1750-1820. New Haven and London: Yale University Press, 1995. —. Fashion in the French Revolution. New York: Holmes & Meier Publishers, 1988. —. Dress in Eighteenth-Century Europe, 1715-1789. New York: Holmes & Meier Publishers, 1985. Chrisman-Campbell, Kimberly. Fashion Victims: Dress at the Court of Louis XVI and Marie-Antoinette. New Haven and London: Yale University Press, 2015. 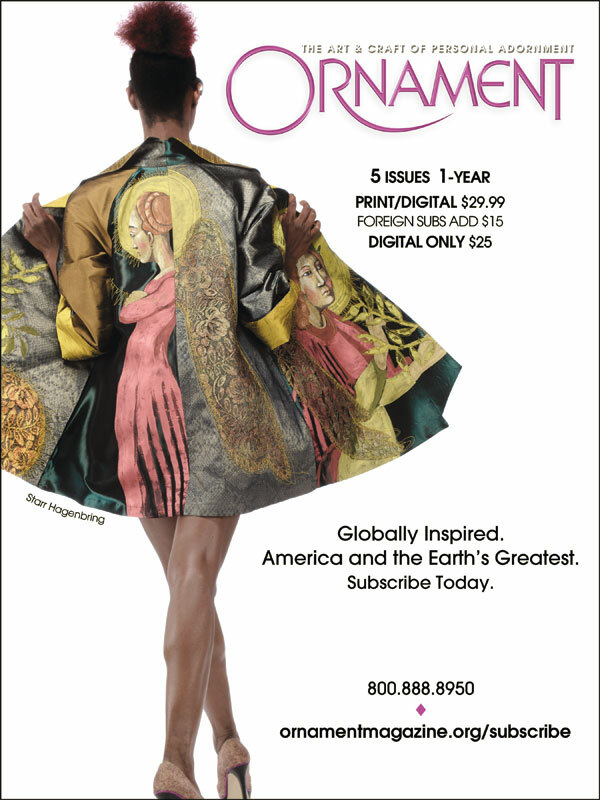 Kimberly Chrisman-Campbell is an art historian specializing in fashion and textiles. She has worked as a curator, consultant and educator for museums and universities around the world. Chrisman-Campbell is the author of Fashion Victims: Dress at the Court of Louis XVI and Marie-Antoinette, published by Yale University Press. For this issue, she interviewed her former mentor, Aileen Ribeiro, who recently retired as Professor of History of Dress at the Courtauld Institute of Art, in London. Chrisman-Campbell’s probing questions delved into the tensions inherent between fields, issues of academic research and the boundaries between art and fashion.